Format: 100ug lyophilized from purified antibody in 10mM PBS, pH 7.4, 1.0% bovine serum albumin (BSA). LIN28 is an RNA-binding protein that was originally known for its role in promoting pluripotency via regulation of the microRNA let-7. Recent studies have revealed that LIN28 does more than regulate miRNA biogenesis. It appears to be a gatekeeper molecule that regulates the transition between pluripotency and committed cell lineages, in both let-7-dependent and let-7-independent manners. Antigen: Recombinant human LIN28 protein. Specificity: This antibody recognizes human LIN28. 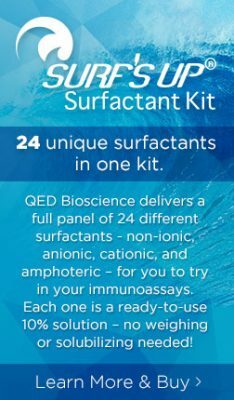 Immunoblotting: use at 1-5ug/ml under reducing conditions. A band of ~21kDa is detected. Dissolve the lyophilized antibody in 50ul of distilled water (final concentration 2.0mg/ml) for stock solution. Dilute the stock solution in 10mM PBS, pH 7.4 + 1.0% BSA immediately before use. Store the stock solution at a minimum concentration of 2.0mg/ml. A lower concentration may result in decreased stability. Store stock solution at -20ºC for at least one (1) year; avoid multiple freeze-thaw cycles. Add 0.1% sodium azide in order to store stock solution at 4ºoC. Diluted antibody should not be stored.